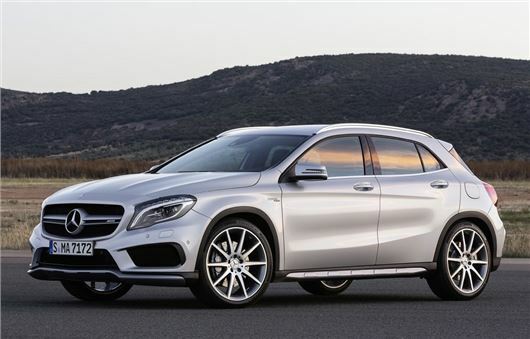 Mercedes-Benz has wasted no time in revealing the AMG version of its forthcoming GLA. The performance variant of the small SUV will be powered by a 2.0-litre turbocharged four-cylinder engine tuned to deliver 360PS giving a 0-62mph time of just 4.8 seconds. It will go on sale in the UK in June with prices of around £43,000 expected. A concept version of the GLA AMG was shown last year and the production model will be unveiled at the Detroit Motor Show which takes place next week. It's only real rival at the moment is the Audi RS Q3 but despite having a smaller capacity engine the GLA is more powerful with a 50PS advantage and 450Nm of torque compared to the Audi's 420Nm. It's also 0.4 seconds quicker to 62mph. 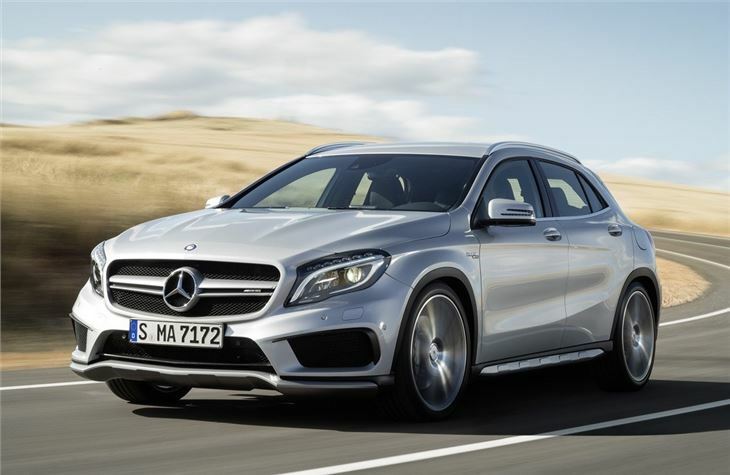 Along with a hand built engine, the GLA AMG gets 4Matic four-wheel drive as standard and comes with a seven-speed DCT automatic gearbox. Economy is more than reasonable given the power, with a claimed 37.6mpg while CO2 emissions are 175g/km helped by an engine start/stop system. 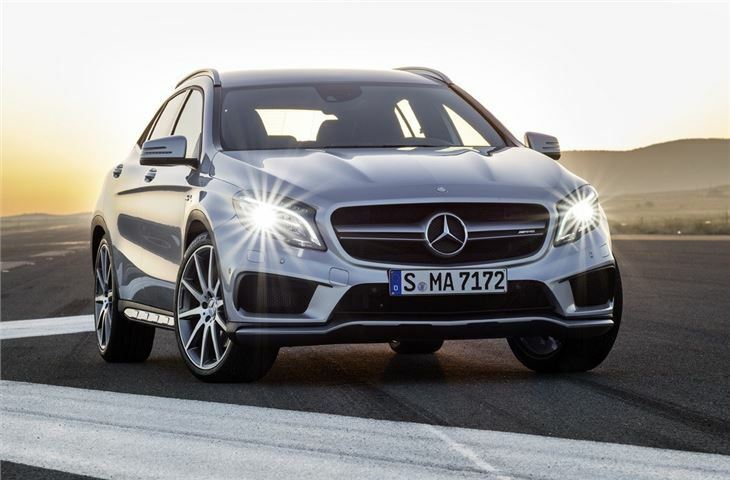 To ensure it handles well Mercedes-Benz has given the GLA AMG sports suspension with bigger anti-roll bars to reduce body roll in fast corners while AMG performance suspension with firmer spring and damper tuning is available as an optional extra. A sports exhaust system with rectangular chrome twin tailpipes comes as standard as do uprated brakes and 19-inch titanium grey alloy wheels. Ten-spoke AMG 20-inch wheels are an option. 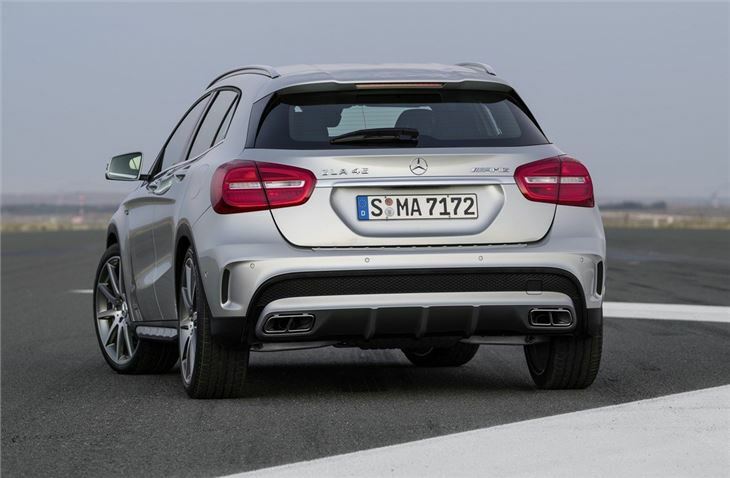 To differentiate the AMG model from the standard GLA, it gets a restyled twin blade grille in matte grey with AMG lettering and a similarly coloured rear diffuser. Options include an aerodynamics package with a larger front splitter and additional air deflectors on the rear spoiler and an exterior carbon fibre package. Inside there are sports seats in man made leather with red stitching and red seatbelts plus a three-spoke leather steering wheel with paddleshifters. The instrument panel is brushed aluminium but carbon fibre is an option. Other optional extras include performance seats with a more contoured seat shape for better lateral support and integral head restraints.